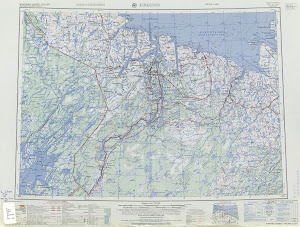 Here is a map shows territory of Finland, of Norway, of Russia. You can find here town Zapolyarnyy download for free. You can find here town Nikel' download for free. You can find here town Kirkenes for Garmin. On this map town Pechenga marked. Displayed town Bjornevatn free download. You can find here Bugoynes presented. You can find here Prirechnyy free download. You can find here Zimnyaya Motovka free download. Displayed Vaytolakhti for Garmin. Displayed Trifonovo presented. On this map Toyllevi free download. Staraya Titovka free download. Sal'miyarvi presented. Rayakoski marked. Displayed Proliv presented. Displayed Pitkyayarvi marked. Parkkino presented.